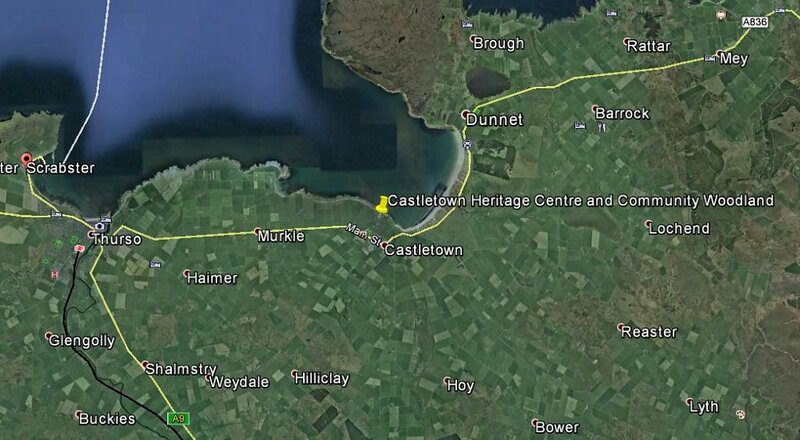 Not far from the ferry point at Scrabster is Castletown. There is a Heritage Centre, with Heritage Garden and a Community Woodland walk with Sculpture Trail. A further walk down to the coast and the harbour includes the Flagstone Trail and the old canon battery. There is an amply sized car park and the whole is well away from roads and traffic. It seemed an ideal spot to pitch for a night. 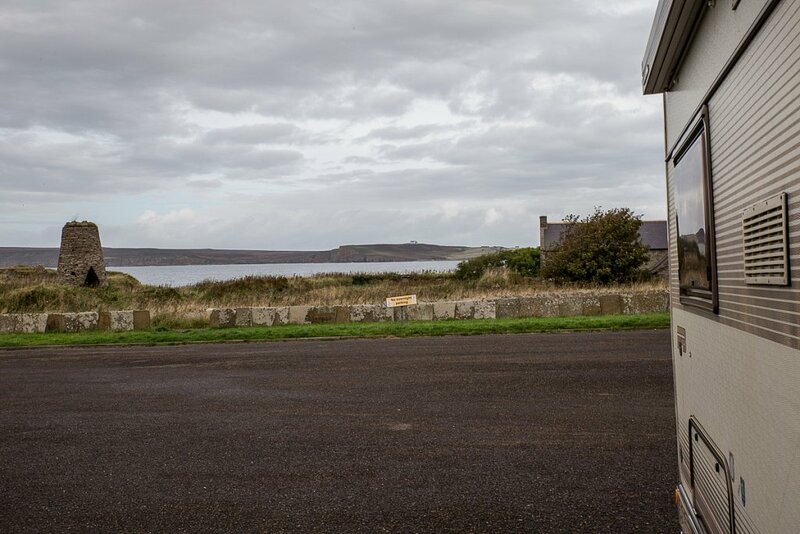 We had not reckoned on the generally unwelcoming nature of the Highlands and Islands Council! Once the dogs were fed, we booted up and went for a walk in the wood. It's a young, deciduous woodland and was already showing signs of Autumn. We found a few of the sculptures, immediately lighting upon a wooden owl, and then close by we found a lovely frog. There were berries, fungi, picnic tables and a complete lack of people. This last may have had something to do with the fact that the Heritage Centre was not going to be open until 2pm. It seems that when I had been doing my research I had read only the words "Open all year except Christmas Day & New Year Day" and not the important piece of information displayed below: "Wednesday, Saturday and Sunday afternoons, 2-4pm"